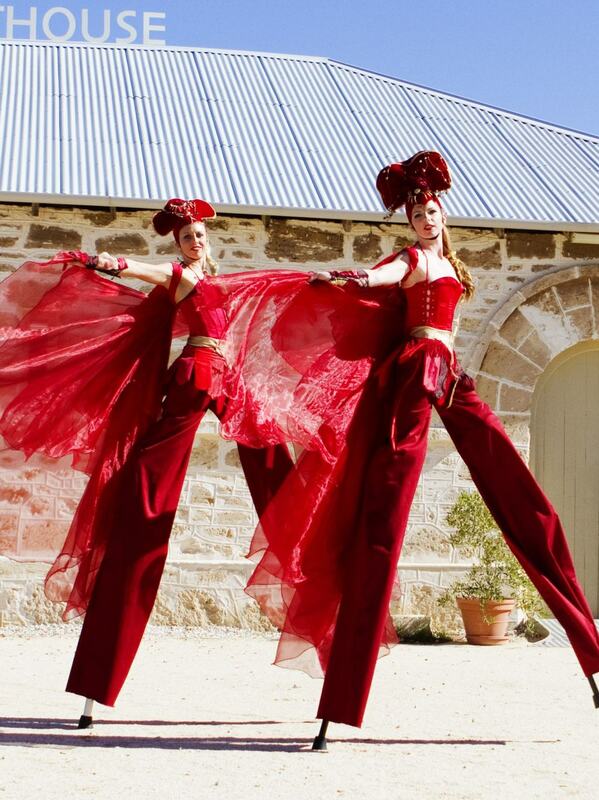 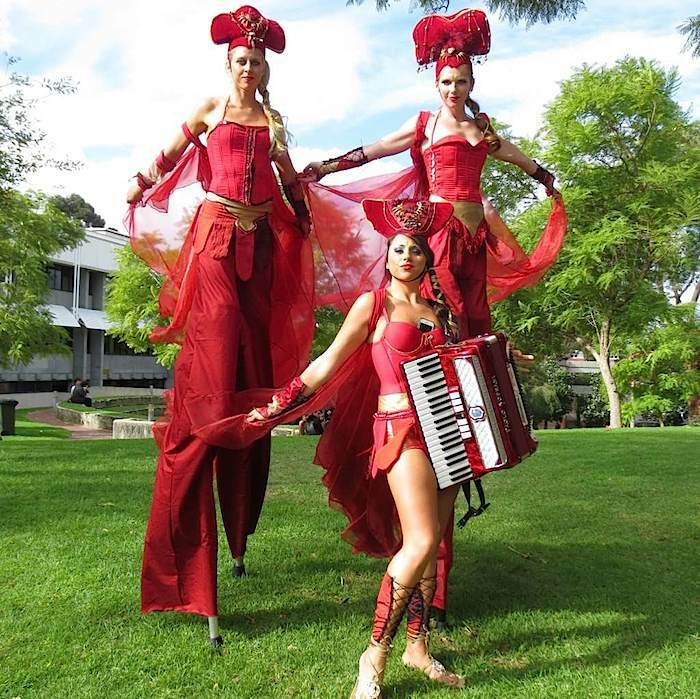 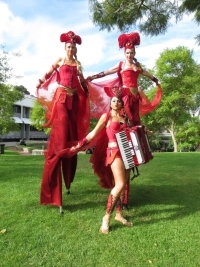 Flame Stilt walkers - ""
Red hot and stunning the Flame Stilt Walkers from Perth can rove at your event as a solo, duo or even with the addition of an accordion player. 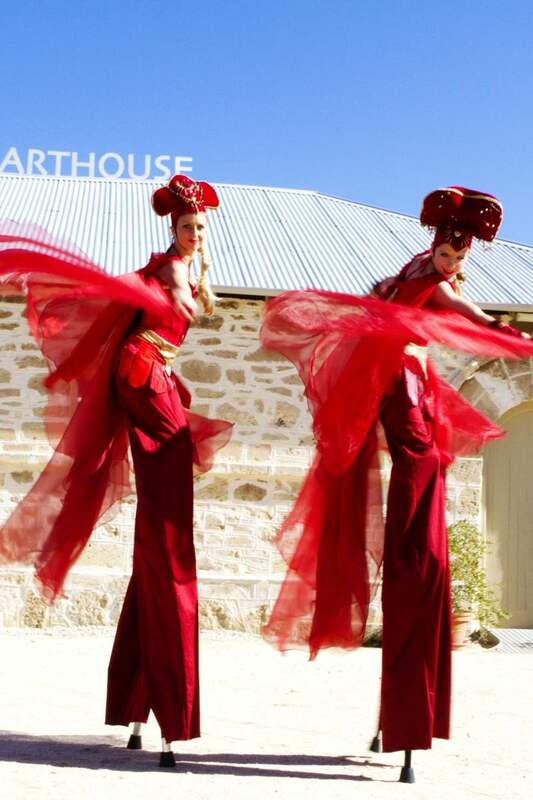 Interactive and exciting the Flames are perfect roving entertainment for those wanting bright and bold colours with a touch of the ancient & regal. 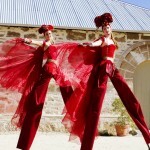 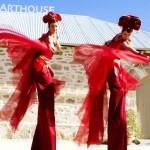 Performed by leading Perth circus performers, the red and gold Flames stand out in any crowd!